To view Laura's collage "how to" video click link below. Once you have finished watching the video use the arrow back on your browser to return to Fiberworks website! Hello fellow collage lovers! 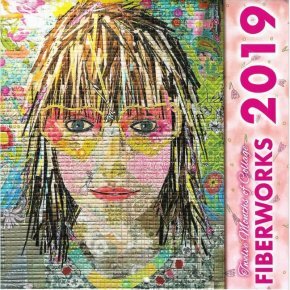 Welcome to Fiberworks’ web home. We are so excited you’re here! We invite you to take a peek around. We know you will love it here. We have added so many new features for you and worked hard to make your shopping experience just as fabulous as a trip in the shop. See our wonderful selection of the newest fabrics and add it to a virtual design wall (just above the "add to cart" button) to view your selections together. We have all of the most popular designer fabrics, including Laura's newest collection "Bird in Hand". 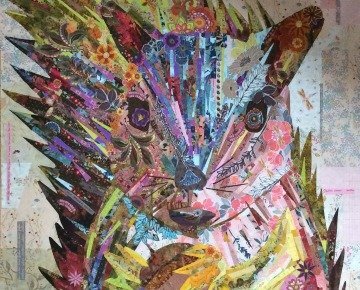 Also… You just can’t miss Laura’s new collection of her very popular Collage Quilt patterns and kits! Check out the "New Arrivals" to see Laura's newest creations. 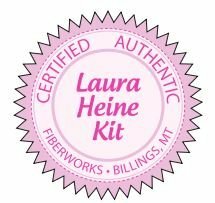 Get her "Certified Authentic" kits while you can, as they sell out quickly and she may choose not to kit them again. Our patterns are always available, but if kits are not on our website then they have sold out. If you are anywhere near Billings Montana it's worth the trip over to take a tour around the 5000 sq. foot store. 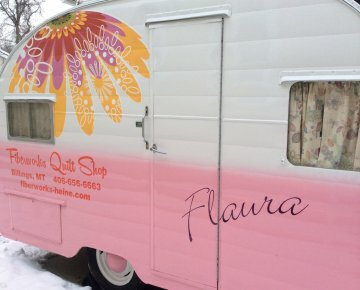 You can even check out ‘Flaura’, Laura’s 1956 Shasta trailer which is now a permanent fixture in the shop! You may also see us traveling on the road to fabric shows and classes! Regardless, it will be the best fabric fix yet! Thank you to all of you for coming by — check back often for all the juicy updates!